Shifting work and family structures in the 21st century highlight the need for workplace policies that help parents balance caregiving and career demands. 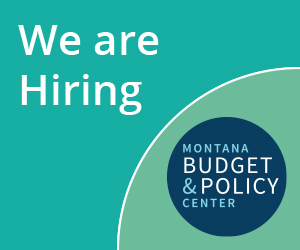 In collaboration with the Montana Department of Labor and Industry, the Montana Budget and Policy Center will conduct three reports on paid leave. This is the first report, which uses evidence from state-initiated paid leave programs, and national studies to examine how paid leave benefits families, businesses, and the economy. >>>Read our first report: Paid Family and Medial Leave: Supporting Families, Businesses, and the Economy here.